fits the feel of the story. I was first recommended this book by a professor and later was required to read it for my young adult literature class. The Scorpio Races is probably one of my favorite books I have read in 2014. An adaptation of the legends of water horses, in this book referred to as the capaill uisce, this fantasy is told from the perspectives of Puck Connolly and Sean Kendrick. The entire book is told from first person, but both Puck and Sean have different, distinguishable voices, and the sections are divided by a clear caption of the character narrator. The writing style is masterful, creating a vivid, mysterious, and foreign setting. This fictional place has a feel of its own, and is so well-developed that it seems like an actual place. The characters are equally well-developed and seem human. None of them are perfect, although they may have good and relatable attributes. The book may have a slower paces, but it has the capability to draw reader in, such as myself, with its wonderfully rounded characters and beautiful yet terrifying capaill uisce. I have always enjoyed horses, and had one of my own for a short time. However, like Puck, I find that I would probably not be capable with handling a capall uisce. Because of some of the language in the book and the ceremony during the rider's parade, I would not recommend this book for anybody under 13. The book also contains several dark and violent elements, but they are handled well. I can easily see why this book is an winner of the Printz Award, so I gave it five out of five stars. The book is original, imaginative, and enchanting in its mysterious way. I would recommend this book to young adults who enjoy fantasy and/or horses. Readers do not have to enjoy horses, but it helps. I definitely intend to read this book again. 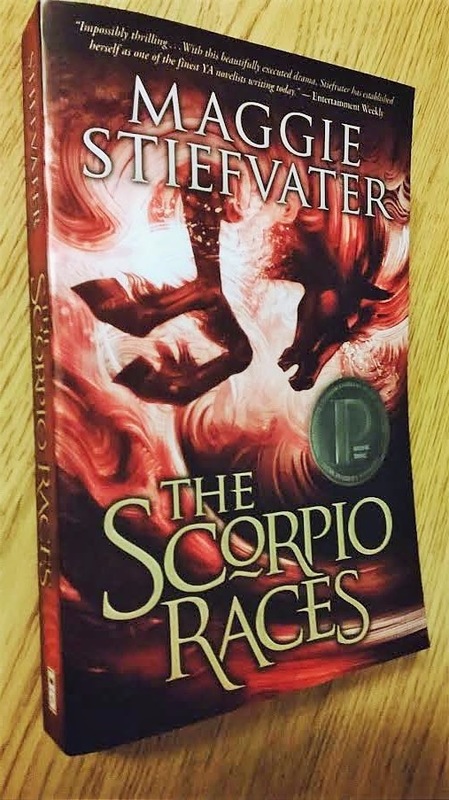 Have you read The Scorpio Races? If so, what did you think of it? Which book should I review next? (Remember: no classics) Comment below!